Today I will be doing a review of an online chess playing website called ChessLive.com. 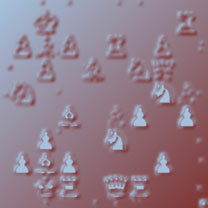 There are many websites that allow you to play online chess. What’s so special about this one? Well, let’s take a closer look from the inside and find out. When you login to the ChessLive, the interface looks nice and clean. You can look for the game with specified parameters such as time control, time increment and opponent’s strength. The time control can be adjusted from 1 to 25 minutes, increment from 1 to 15 seconds and opponent’s strength from 1500 to 2600. Everything looks clear and bluish (I like this color scheme, you have probably noticed it already from TheChessWorld.com layout). When the game is started the chess board page appears. Everything works smoothly, without any lag or freezing (at least for me). The board and pieces are big enough and easy to distinguish. Clocks are also fairly visible. Chess pieces make cool clicking sounds when the move is made. There is also some special ringing sound for captures. That’s useful for some, who like to browse the web while waiting for the opponent’s move. You can also play with the account’s settings and change the chess board theme to brown, lilac (purple!) and gray. This is one of the tactics problems, can you find mate in 2 for White? I don’t typically play bullet (1 minute time control) games, but I did it here for testing purposes. You can see the game below. Don’t judge it, as Rashid Nezhmetdinov stated He who analyses blitz is stupid. ChessLive.com is a new, awesome website for playing chess online. It already has around 14,000 registered members, so finding a game is not a problem. The interface is clean, responsive and easy to use. 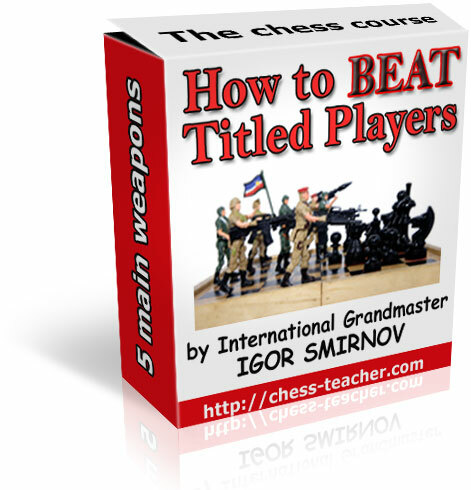 The tactics exercises are also a valuable resource for those who wants to improve. I was a little surprised with a small range of time controls, it can only be adjusted to 25 minutes max per side. Some people like playing longer chess games, so adding 30, 45 and 90 minutes controls makes a lot of sense. Other than that, the site is pretty awesome! I recommend you to check the ChessLive.com out, play couple of game and leave some comments below! [quote name=”Alex H.”]Congrats on a good chess playing site. The only problem I see not enough high rated players. I loggin and the highest rated person was 1600. Good afternoon dear Alex. You will find players with 2.000 and also International Masters. They are all starting and gain Elo in Chess Live is not easy because there are very good players. All the best and hope you enjoy Chess Live. Congrats on a good chess playing site. The only problem I see not enough high rated players. I loggin and the highest rated person was 1600. [quote name=”John Tennon”]It says that a premium membership includes an analysis engine function. Is it worth paying for? I mean is it a strong engine on a mainframe computer or just a CRAFTY? Good afternoon. Now, we disabled for a month the engine because we would like to incorporate this functionality in games, live games and also in a new training system that we are developing. We would be really grateful if you can test all the features and give us your feedback so we can improve. It says that a premium membership includes an analysis engine function. Is it worth paying for? I mean is it a strong engine on a mainframe computer or just a CRAFTY? Good afternoon dear Ketish. At the moment that’s the situation but in the following weeks we are going to let chess players see and download their games for free. I played a game there, then I tried to save it and it did not let me! Only VIP members can save games?